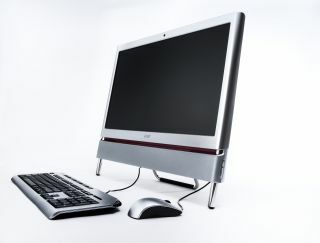 Acer has announced the arrival of its latest touchscreen PC – the All-in-one Aspire Z5600. Acer believes that the All-in-one offers "full touchscreen capability at an affordable price" and "represents a current revolution in the world of PCs and it is engineered to maximise the full promise of the next operating system from Microsoft - Windows 7." Exact specifications of the system seem to still be shrouded in secrecy but Acer has announced that the PC uses the latest generation of Intel processors and has the ability to house a hard drive of up to 2TB. The latest generation of MXM graphic processors can also be found inside. To underline the fact that this is a complete multimedia PC, a TV tuner has been included, as has a webcam, and a DVD/Blu-Ray player/writer combo. Pricing and release date has yet to be announced. As ever, TechRadar will keep you posted.